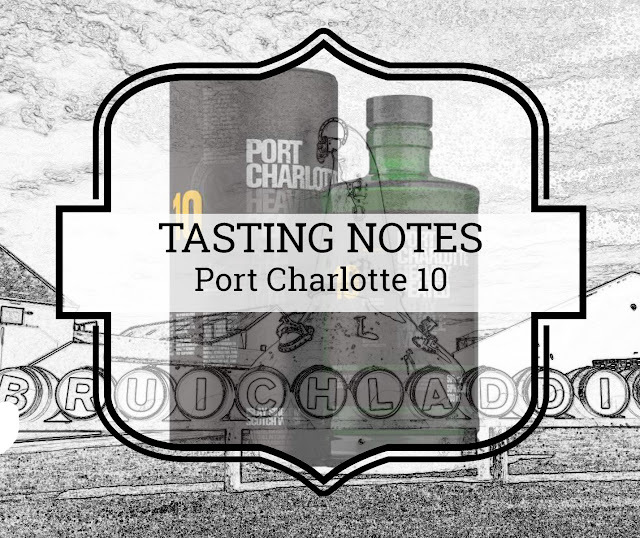 The new Port Charlotte 10 is Bruichladdich's third iteration - or fourth if you count the collectable PC10 too - of the popular heavily peated 10-year-old Port Charlotte. This edition marks a departure from the iconic minimalistic Laddie bottle. Port Charlotte has now its own distinctive dark green - a popular colour on Islay - steampunk apothecary-style bottle. Looks like Bruichladdich is working towards a unique identity for each of its subbrands Bruichladdich, Port Charlotte and Octomore. Bruichladdich's Feis Ile festivities focus on their heavily peated brand Port Charlotte. Their special Open Day Whisky is called The Heretic. The Laddie team married the last five remaining casks of Port Charlotte spirit. Hence its name "The Last of the First". Trivia Time: Did you know the very first spirit run at Bruichladdich after it reopened was heavily peated new make destined to become Port Charlotte whisky? 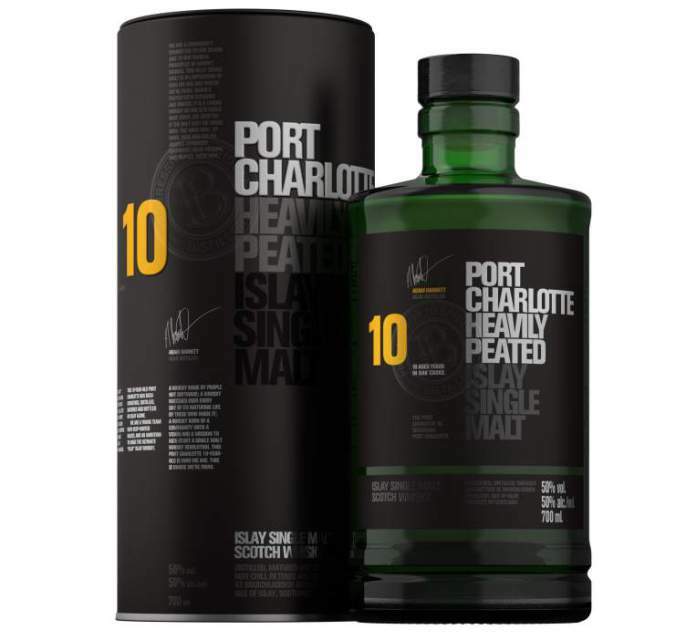 Back to that regular Port Charlotte 10 single malt, which will replace the multi-vintage and highly transparent Scottish Barley expression. Things are still rolling out as we speak, but I suspect we will be getting more details about it after the Feis Frenzy. And in the meantime, I'll have a sip of the new kid on the block and give you my tasting notes. Colour: Straw yellow with a golden hue. White port perhaps? With water, things get very cloudy. Nose: Sweet rubber and aniseed notes. Fennel seeds. Nougat and nuts. Greek rose liqueur. Citrus smoke coming from an antique apothecary's cabinet. Tangerines, smoked salt and marzipan. With water: A handful of sweets. English wine gums, vanilla and liquorice. Some wood flavours. Melon, golden syrup and salted caramel. A slightly metallic note. Taste: A peppery start transforms into a silky soft mouth texture. Smoked pears and almonds. A bitter Belgian tripel beer with spices. Clove, bay leaf and rose petals. With water: Vanilla, pepper and sand cookies. Melon. Coconut on the barbecue. Tobacco smoke. Toasted brioche buns with coconut fat. Milk chocolate and figs. Finish: Warm and dry on the tongue. Toasted nuts with coconut oil and traces of old red wine. Damn! The team at Bruichladdich nails it every time. 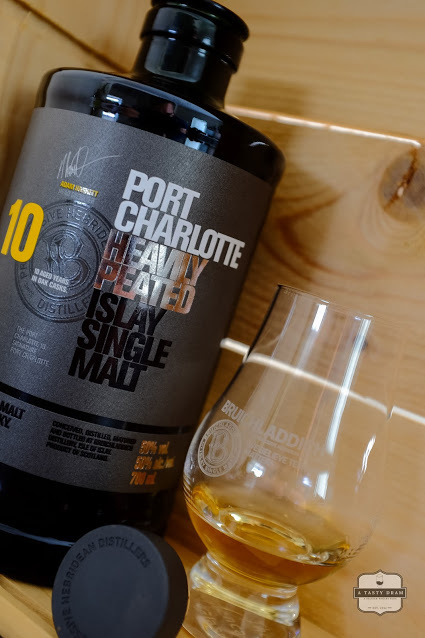 The new Port Charlotte 10 looks great and tastes great. The bottle size has been reduced, but the flavours haven't. Smoky, sweet, sour, salty and bitter. It's all there. A well-balanced smoky Victorian steampunk beast. There's no need to put it side by side with the second edition of the Port Charlotte Ten and the Port Charlotte Scottish Barley, as I did. It truly is Port Charlotte from the first sniff. The DNA literally jumps out of the bottle when the cork is popped. And probably some liquid too. The short bottleneck may cause you to spill a few drops so make sure to pop the cork gently and pour a generous measure the first time. Sample disclosure: A sample was offered by Bruichladdich. Opinions expressed in this review are of course my own. In this case, my opinion might be a bit biased, but that's due to me being a fan of Bruichladdich and has nothing to do with free samples.